**PRICE ADJUSTMENT! **Stunning home in the desirable Kentley Hills neighborhood of Highlands Ranch. The formal living room with gas fireplace flows to the large formal dining room. Beautifully updated kitchen features a Bosch gas range, double ovens and slab granite. Kitchen opens to large family room with gas fireplace and wet bar. Large mud room with washer and dryer just off the 3 car garage. Main floor office features built-in bookshelves. 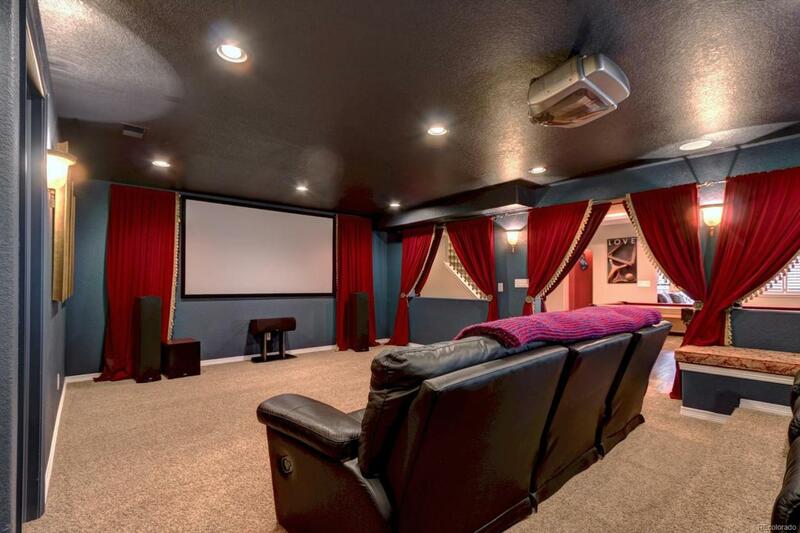 Finished walk-out basement with theater room, bedroom, full bath and office, 2nd wet bar area, pool table and plenty of room for entertaining! Large master bedroom upstairs with two-sided fireplace in completely updated master bathroom completed in 2016. Walking distance to Summit View Elementary, Mountain Ridge Middle School, Mountain Vista High School. Less than 2 miles to Valor High School and shopping. Access to 4 local recreation centers.